EverlyWell - Dried Urine Collection Instructions from EverlyWell on Vimeo. 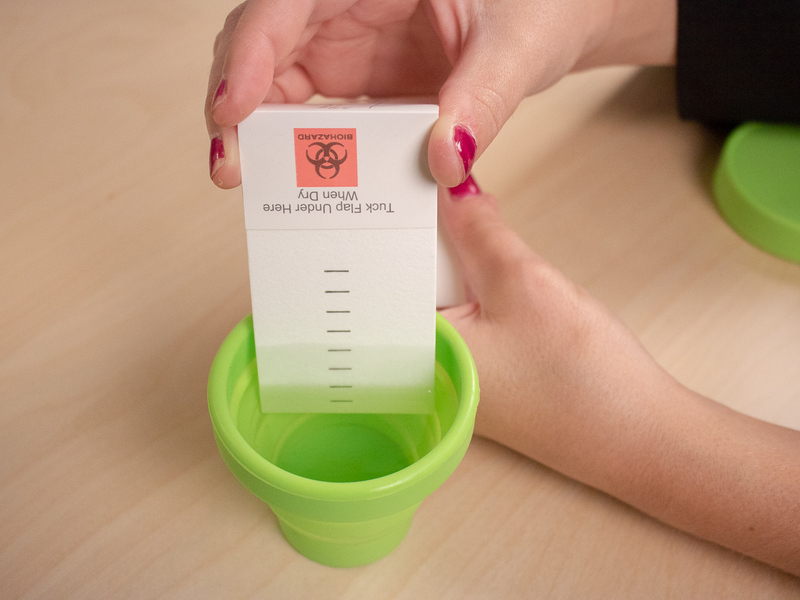 Collecting your urine sample for your EverlyWell test kit is simple. Please review your individual test instructions provided in the box for specific directions on collection timing. 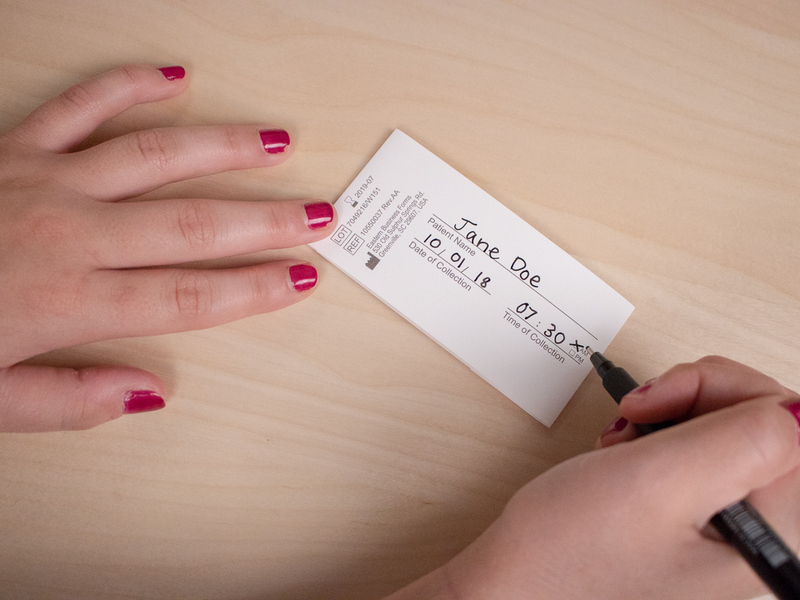 Step 1: Write your name, collection date, and collection time on the collection card. 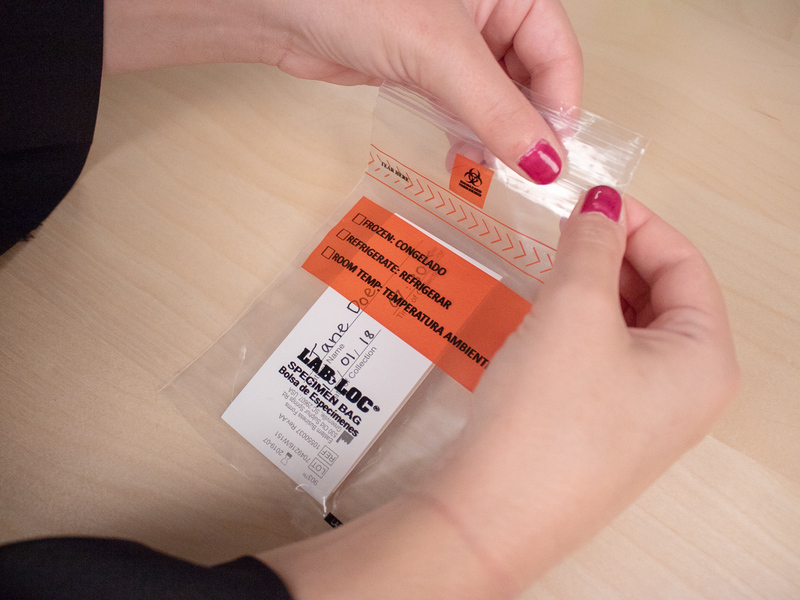 If you do not include this information on your samples, they may be rejected by the lab. Open the card and fold it back. Do not touch the collection card paper. Step 3: Hang at the crease to dry. Cards MUST stay open. Dry all samples overnight. Step 4: When samples are dry, close the cards without touching the filter paper. Place the cards back into the biohazard bag. Place your sample back into the box. Send the box back in the return envelope using the shipping label provided (located at the bottom of the box). Send back your sample using the shipping carrier listed on your return label.